Music Matters Interview: Taku and Makiya of Amnesia talk about playing outside Japan for the first time – Hello Asia! After they played Music Matters in Singapore – their first ever show outside of Japan – we caught up with vocalist Taku and drummer Makiya of Amnesia to hear about their time in the Lion City and learn more about the band. What was is like playing at an overseas event for the first time? Were you nervous? Taku: Even it was our first event in overseas I was pretty much the same feeling as the one in Japan. The only thing I worried about was the language, since we were the only one singing in Japanese. But while we were sound checking we saw people stopping by and listen to music, sway with music then I thought we are OK and just enjoy the live as usual. The Music Matters and Singapore was fulfilled with the music and it was our pleasure to be a part of it. Makiya: I was a bit tensed before the performance because I knew that lot of artists are performing in various genre of music and I was not sure that audience would accept our genre. But all blown away and could enjoy the live fully after the first song on the stage heard the cheer from the audience. How was the Singapore audience different from your fans back home? Tak: First ball, audience were multinational compare to Japan and felt the people are open to the music. This is hard to say in words but the relation between the audience and the performers are flat in a good way and so I felt very close distance at the start. The audience shout and we just replied back with Ohooo!! I though this atmosphere should be made in the Live in Japan as well. Also many people were shooting the photo and that was a bit embarrassing. If you could have stayed in Singapore for longer, what would you want to do? Taku: Go see the Merlion. Makiya: Go see the Merlion. Did you see other performances during Music Matters? Taku: We could not see all but we saw some. None of the bands are alike and variety of genre and so it was very fresh and learnt a lot from what is happening around the music world. Makiya: I saw Ben Catley and Jaguar Jonze (Australia) on the main stage and saw 88Balaz (Taiwan)and Chores(NZ). All were performing very well and unique, that made me want to go to more countries to see overseas performers. What other cities would you like to perform in the future? Taku: A place I’ve always longed to perform is Liverpool. Do not have to say much about this place. South America, because we were influenced by Country music. Wien in Austria, I just have the image of music city so. Makiya: I want to visit more in Asia and from this Music Matters I felt the energy of Australian Artists, so I would love to go and perform there. Also US but this is just because I watch US TV drama a lot. Taku: We founded since when we were 15 (Junior High school) because some of the original members graduated the school so I looked for the member at the same grade and formed AMNESIA since then. The origin of the band name is that I forget the lyrics all the time. Taku: I loved singing since the childhood so just “to sing” love the most about performing. Also, I like the feeling of the LIVE which is very straight forward that we get good reaction if we are good and get bad reaction if we did bad on live. Makiya: Performing live is always taking the rough with smooth but once it starts the Lives energy always blown away all those things and release my emotions out and after all I feel I on next stage. Do you do anything special before a live show? Oh, I also eat 1 Salmon Rice-Ball, it is always the just amount. I am sure there are better way to keep up the conditions but I am just too used to this. Makiya: I just do the quick Stretch and Yoga but I make sure no one find me doing this. Taku & Makiya: Influenced by lot of Music Genre, Japanese Rock, Progressive Rock and Metal, HR/HM, Country Music. Most influential bands are ASIAN KUNG-FU GENERATION, BUMP OF CHICKEN, Tokyo Incidents and DREAM THEATER. Tell us about your latest music release. Taku: We have released the song we did at the Live「Lightless」and 「Seidanhokou」at the music platforms and we now recording the next EP for the game title songs. How was your experience in making the soundtrack for a video game? What other genres of video games would you like to compose songs for? Taku: The producing process was so fresh that we started from reading the Character setting and game plot, stories and talked with the game producer and hear about the image and mash up the ideas. Tried the best to fit in to the game so the music had to be simple but not too simple and for the lyrics I tried to see the world as the character of the game. Each of the band member composed the BGM songs and to form the songs with unity we let the producer listen and adjust several times. It was very intense time and happy to give a birth to the songs like 「Seidanhokou」and 「Automobile」in this project which can be heard by the none game users. 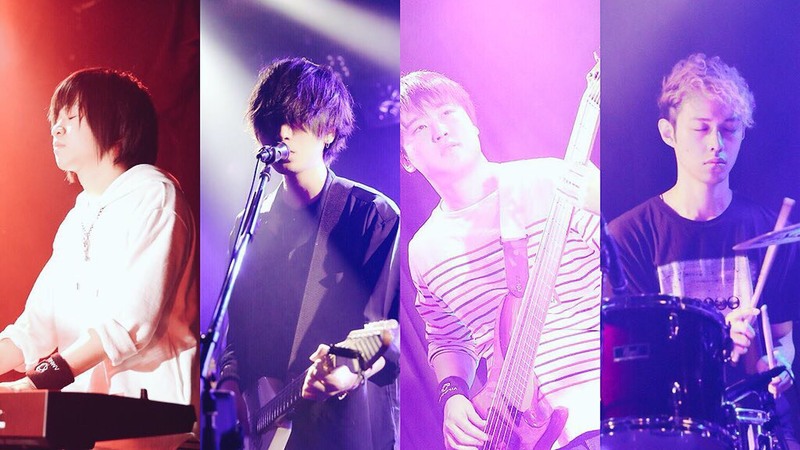 Taku: We do not have a live in overseas in our plan yet but we will go live in Japan and we are now preparing for the new release so, please check us on Twitter @AmnesiaProg for the upcoming news thank you! !